Just got back from your latest European trip and want to do something special with your travel keepsakes? Think traditional photo albums are just too boring for the photos from your trip to France? Most travellers will understand that feeling of joy you get while travelling, then the sudden let down once you get home from your trip. Is it possible to keep hold of those fantastic travel feelings just a little longer? If you like to collect special souvenirs and mementos from your travels but not sure what to do with them, don’t worry. There are many unique and creative ideas that can make your travel memories last forever. Scrapbooks are much more than just another bland photo album and can even be great fun to make. Scrapbooks are where you can store all sorts of things from your travels, from tickets and receipts to bank notes and even menus. These are things that we all typically pick up during our trips and collecting them all in a scrapbook means you can enjoy them for months after you’ve returned home. You can use your scrapbook as a way to remind yourself of that great bar you visited or the train journey you went on to visit some amazing landmark. You can make your scrapbook as detailed or a simple as you like, you can even write little notes or doodles next to each item if there is something special about it that you don’t want to forget. There are so many wonderful things you can do with the photographs you took during your travels. Don’t just leave them sitting on your camera or phone to be forgotten. Use your photographs to create something wonderful that you can enjoy for months, even years to come. 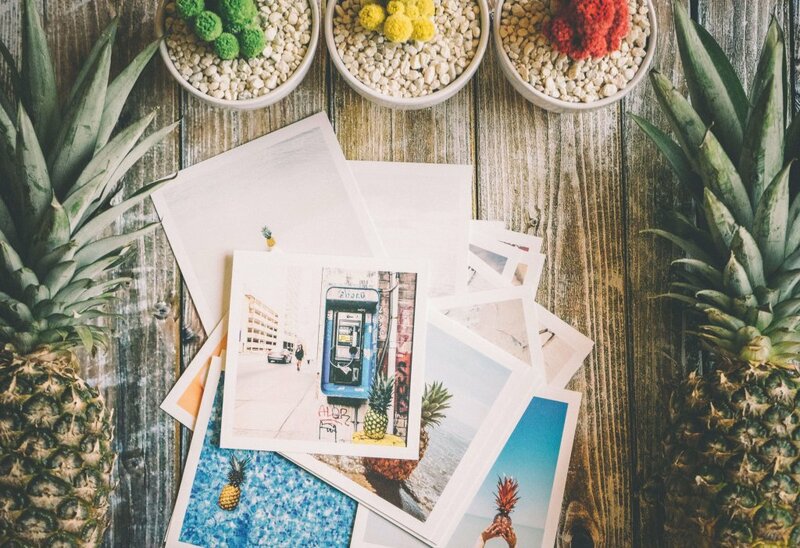 Creating a photo collage means you can combine a number of photographs that highlight the best elements of your trip. Use your photographs to create a travel blog where you share your travel experiences and tips. There are endless possibilities. Make a travel destination box is a very simple, but incredibly effective way to store your travel keepsakes. Each travel memory box can be filled with anything special or interesting you picked up during your trip. From postcards and shells to train or bus tickets. The box can be as big or as small as you wish, it can be as simple or elaborately decorated. It’s your travel time capsule box for you to keep all your travel treasures safe and organized which you can look at whenever you want to relive the memories. Wherever your travels may take you, creating special keepsakes will not just give you something to show your friends, but will help you make those wonderful memories of your trip last forever.